The Story Building Project is the next major step in the master plan for our Knox site. It includes a new Community Centre, a more welcoming church entrance, a more spacious and inviting foyer, a new café and children’s play area, upgraded and new meeting rooms and car parking. During last year we completed the widening of the Cathies Land exit and to date we have raised $5.85 million of the overall target of $11 million. We want to create a place that builds into the next generations of CityLife – a place where the people from our community can come for help and healing, a place where all people can feel welcomed, a place where stories are shared and a place that is all about connecting people to a God who loves them. We are called to be bringers of hope, healing and health and we recognise that God interacts with people in places – this is why it is so important that this project is completed and put to full use. Buildings don’t change people’s lives, what happens in them can and does! Since our early beginnings in 1967, under the leadership of our founding pastor, Richard Holland, CityLife Church has been about God transforming people in places - one life at a time, one story at a time. What a great heritage we have with so many stories of God at work over many decades of fruitful ministry! During our Spirit-led journey together, we have gathered in different buildings and locations across our city. Our last major building project at our Knox site cost $7 million. It was completed debt-free in 2004 because of the faith and sacrifice of our congregation at that time. Since that time, we have seen significant growth in the impact our church has had within our community at Knox and through our newer congregations at Casey, Manningham and Whittlesea. Our goal is to complete the project debt-free by raising the entire $11M. It is not about equal giving, it is about equal sacrifice, so as this is the final year of the fundraising, let’s pray and ask the Lord to resource this project through us. I enthusiastically encourage you to join us as we continue on this exciting story building project by (1) praying about what God would have you give; (2) making a one year pledge; and (3) by fulfilling your pledge by the end of this year. God has honoured the steps of faith of those who have gone before us. Now it is our time to take another step in faith. As we do, we will grow and God will continue to transform lives for His glory. Generation after generation stands in awe of your work. Each one tells stories of your mighty acts. We want to continue to be a vital part of our surrounding community. For over 20 years our community ministry has supported people in times of crisis, financial need and distress. Tens of thousands of people in our local area have been given hope for a better tomorrow. 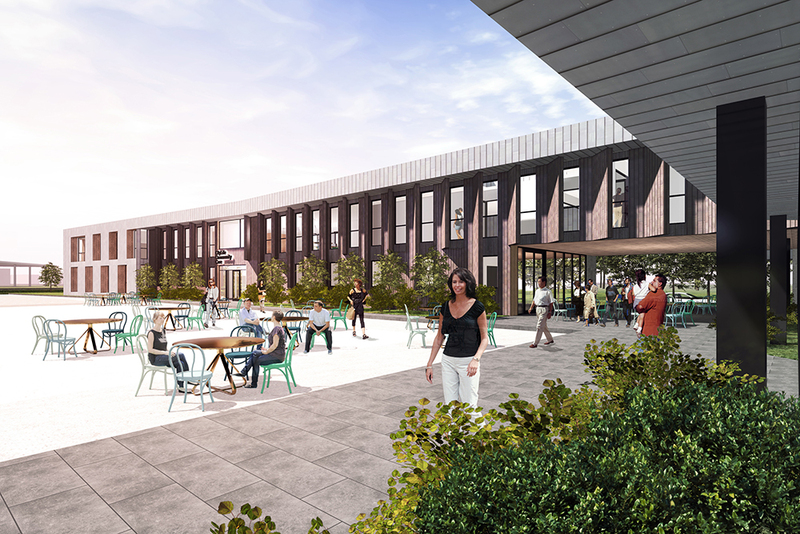 Our new Community Centre will provide a warm, welcoming environment with significantly more spaces for connecting with people and supporting them in their time of need. Regular attendees know how to find their way around our church building, but visitors are often confused about where to enter and how to find various rooms and facilities. A new, welcoming entrance will create an attractive and inviting focal point for everyone and open up the building so rooms are easier to find. Every weekend we have thousands of people gathering for services. A larger foyer will provide space for people to move around freely and connect with others. Lots of stories have started in our foyer! 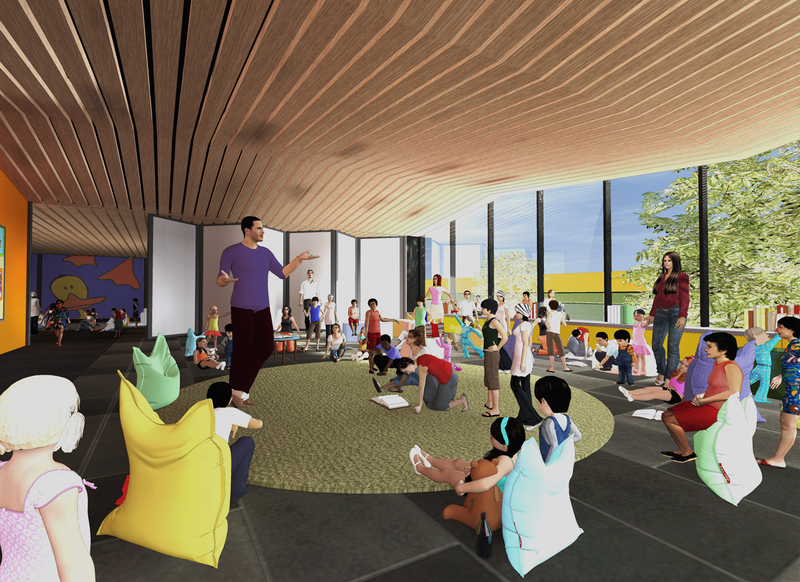 Our new café will provide a warm and welcoming place for conversation and connection over a great coffee or snack while your kids play in the café playground. Kids ministry is a vital part of our vision to reach the next generation. Our expanded facility will include purpose-built, kid-friendly rooms to provide for the demands of our growing children’s ministry. It will also provide other multi-purpose rooms for use by kids ministry over each weekend and a co-ordinated check-in area to improve the safety and security for our children. Our church building is used every day of the week and we are often running out of rooms in which ministries can meet. Additional rooms will provide space for ministries such as Seniors, Young Adults and prayer teams to name a few, as well as extra room to facilitate LifeTrax and other training. This project is another exciting step forward in helping to fulfil our mission. Our community and congregation (current and future) will benefit greatly from these improvements for many years to come. It has been said that Richard Holland was the Founder and Visionary, Kevin Conner was the Builder and Mark Conner, the Enlarger and Extender of CityLife Church - spiritually, numerically and materially (building-wise). In Acts 13:41 we have these words "...I work a work in your days, a work which you shall in no wise believe, though A MAN declares it to you". Mark Conner - in application - is "the man" who has declared The Story Building Project for the next several years of our history at CityLife Church. It was a brilliant presentation of vision for the next several years. It was presented in such a way without any "guilt-trip" on our congregation, but a challenge to us to rise to the occasion and give as God prospers us all. It was an excellent presentation. If you could not be there, download the podcast and hear it for yourself! At CityLife Kids we are super excited about the new facilities that are coming. Thank you for continuing to be great models of generosity to our kids. It is exciting to see them grasp the importance of giving and do their part as well. Oh what blessings for generations to come – indeed a legacy! A Church without walls and a Community Centre bridging the Church and Community... that's God's heart, part of our Church's vision and we have the privilege of seeing it come to pass! We can't wait!!!! It absolutely inspires me that our Story Building project is going to raise the profile of CityLife Church to the community. It’s a way to bring more awareness of how we serve the community and allow more people to be engaged with us and the work we do in our local community and beyond. Having an extended car park of over 280 car spaces with an improved Traffic Management Plan has enhanced everyone's experience of getting in and out of our church. Young adults desire authentic community and meaningful connection. 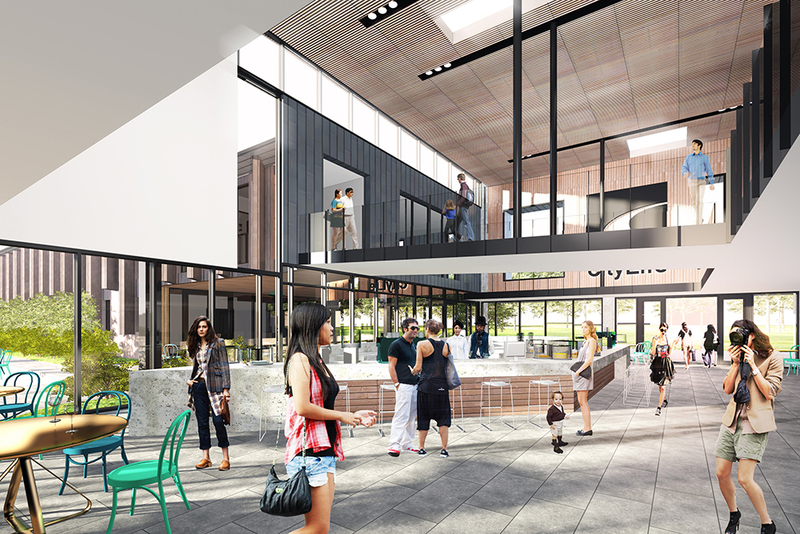 The new cafe and foyer will provide a cool hangout space to connect with their extended family over great coffee before and after the services. Growing up we experienced so much poverty at home and yet we learned through the scriptures about the importance of tithing/giving and having a heart of generosity. Ever since we started sowing into Gods house, the Lord just opened the flood gates of abundance in our lives. More recently when there was an opportunity to giving towards the Story Building project, we initially pledged a certain amount. After a few months God challenged us to double it. Ever since we obeyed , God has brought in so much increase in our lives just not financially but has showered us with unmerited favour in every aspect of our lives. Will I be followed up about my pledge? No, you will not be followed up regarding your pledge. It simply gives us an indication of how much people intend to give, which helps us in our financial planning. Will donations to the project be tax deductible? Donations are no longer tax deductible as all funds for the community care section of the building have been raised. Can I re-direct some of my regular giving to this project? Our current regular giving (tithes and offerings) helps to resource the ministries of the church. In order to sustain these ministries, we ask that donations to this project be in addition to your other regular giving. We do not want any other area of ministry to have to reduce their resources in favour of the building being completed. You can give via our church web site or mobile phone app or through the Story Building Project envelopes available at the stands located in the foyer or at the Connect Desk. Our congregation contributed $2.175M in 2014, $1.952M in 2015 and $1.760M in 2016, giving a total of $5.885M towards the project. 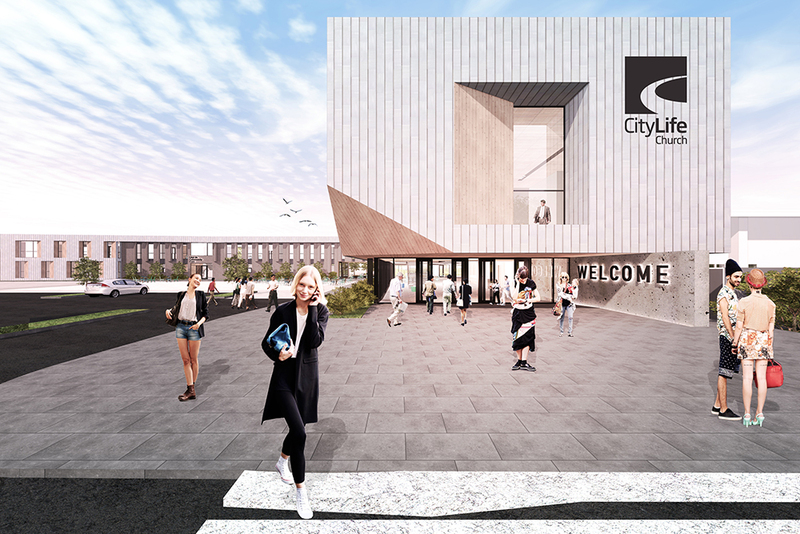 Isn't CityLife Church already big enough? We are already reaching many people but we have outgrown our current facilities and need to provide for growth in children’s ministries, community care and weekend services. We believe God has called us to reach out to even more people. What is CityLife's current financial situation? Through the generous giving of our congregation and the good financial management of our leadership team, CityLife is currently debt-free with some savings in the bank. Why don't we just borrow the $11 million? Taking a bank loan is possible but would cost thousands of dollars in interest and would require us to reduce the amount of money we are investing in ministry, something we do not want to do. How much land do we have at our Knox site? The current church and school facilities reside on 13 acres of land. The new carpark is built on the additional 4 acres near the freeway, bringing our total to 17 acres, enabling us to construct a new Community Centre. Will this affect our community and overseas mission ministries? Our commitment to our community and to missions is as strong as it ever has been and so we do not want to reduce any of the current resources we are investing in these core ministries of the church. In fact, as we grow, our capacity to expand these areas of ministry also grows. We expect that the facility will be completed by November 2017. It is our time to play our part and take a step in faith. As we do, we will grow and God will continue to transform lives for His glory.